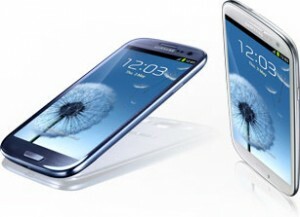 Earlier this month the Samsung Galaxy S3 passed the 100 day mark since its release, with an outstanding 200 million sales. Being a proud owner for around 2 months, I feel it has been well used and is ready for an honest review. The S3 hit the market with the motto “Designed for humans…Inspired by nature.” Samsung used the concept that there are no straight lines in nature, to design a minimalistic and smooth device, providing a comfortable user experience. Boasting an impressive array of features from its quad-core processor, to a 4.8 inch HD Super AMOLED screen, the S3 made everyone sit up and pay attention. On first impressions the display is sharp and clear, and the device runs Android version 4.0 (Ice Cream Sandwich) but is rumoured to update to Jelly Bean later this year. Available in white or blue, the S3 has a Micro SD slot if you need to expand on the 16gb of built in memory. An instant success, the S3 quickly became the latest must-have Android phone. The handset comes in at just under £500, placing it at the higher end of the market. However there are some reasonably priced monthly contracts available which can help bring the cost down.